We welcome families for both the Prep and Senior schools to tour our fabulous facilities, meet the Headmasters, staff and pupils. Find out why West Buckland is described as “A gem of a school in an exceptional location” by the Good Schools Guide. To register, please click on the link below. If you have any queries, please email [email protected] or call 01598 760178. 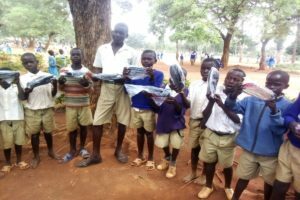 Through the fundraising efforts of the International Society, WBS has managed to raise enough money to provide shoes for the children at Agoro Oyombe School, our partnership school in Kenya. This initiative allows children to get to school comfortably instead of having to walk barefoot or in sub-standard footwear. A portion of the money raised has been put towards providing sanitary products to allow girls to attend school full-time. 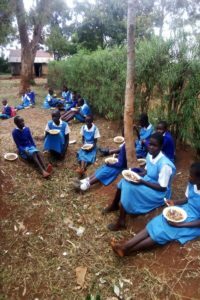 Part of the money raised has been spent on ensuring primary school children at Agoro Oyombe can have a nutritious lunch, enabling them to focus on their studies in the afternoon. 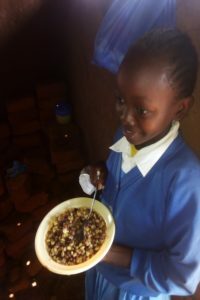 We are delighted to have been able to fund all the equipment and some of the food, as well as helping the school to find other ways of sourcing the required ingredients. 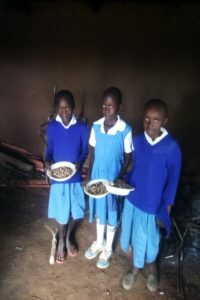 One of these methods is improving the use of the school’s own farm. Although charity is not the main reason for our partnership, which is based on ideas for better learning, all these initiatives are designed to aid learning. For more information, see the Kenya link at the bottom of our website.